Here are all the major stats and numbers recorded by Joe Burns and Travis Head on the first day of the Canberra Test. Australia dominated the first day of Test cricket at the Manuka Oval with the bat after initial hiccups created by the Sri Lankan bowlers. The hosts were reduced to 28/3 after electing to bat first before they bounced back with the help of a big partnership between opener Joe Burns and Travis Head. The duo dominated the visiting bowlers by hitting boundaries as they added 308 for the 4th wicket in only 64.2 overs. Burns ended the day unbeaten on 172 while Head got out scoring his maiden Test ton of 161. 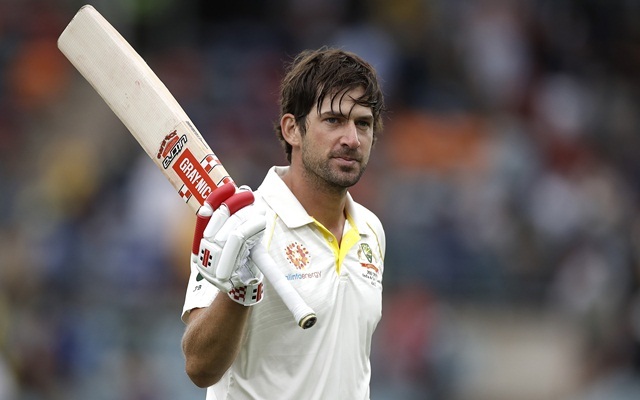 6 – The century by Joe Burns was the first individual hundred for Australia in seven Test matches in the ongoing home season. The 6-match streak without a Test hundred is the longest for Australia since the seven-match streak in 1956. Travis Head followed Burns having missed out on a couple of instances in the previous six games. 1886/87 – Had neither of Burns and Head scored a century and Australia ended the game without an individual hundred, this could have been their first home season since 1886/87 where they played more than one match without a Test century. The Aussies failed to score a century in 1964/65 and 1887/88 seasons where they played only one Test. 1 – Joe Burns and Travis Head pair became the first to put on a triple century partnership in their first innings as a pair in Test cricket. The previous highest stand in Test cricket by a pair batting together for the first time was 291 by England’s Andrew Strauss and Robert Key against the Windies on the opening day of the 2004 Lord’s Test for the 2nd wicket. 1 – The 308-run stand between Burns and Head is first ever in the Test matches between Australia and Sri Lanka for any wicket. Dean Jones and Steve Waugh added an unbeaten 260-run stand for the 5th wicket during the 1989 Hobart Test which was the previous highest partnership in AUS-SL Tests. 308 – The Burns and Head duo is also only the 3rd to put on a triple century partnership on the first day of a Test match for the 4th or lower wicket. Australia’s Adam Voges and Shaun Marsh added 317 of their 449-run stand for the 4th wicket on the first day of the 2015 Hobart Test against Windies. India’s Sourav Ganguly and Yuvraj Singh added 300 on the first day of the 2007 Bangalore Test against Pakistan. 308 – The 308-run partnership is the highest for the 4th wicket by any pair coming in after the loss of the first three wickets for less than 30 runs. Angelo Mathews and Kusal Mendis shared an unbeaten 274-run stand during the last year’s Boxing Day Test against New Zealand in Wellington.